This year's holiday card designs are simply stunning! 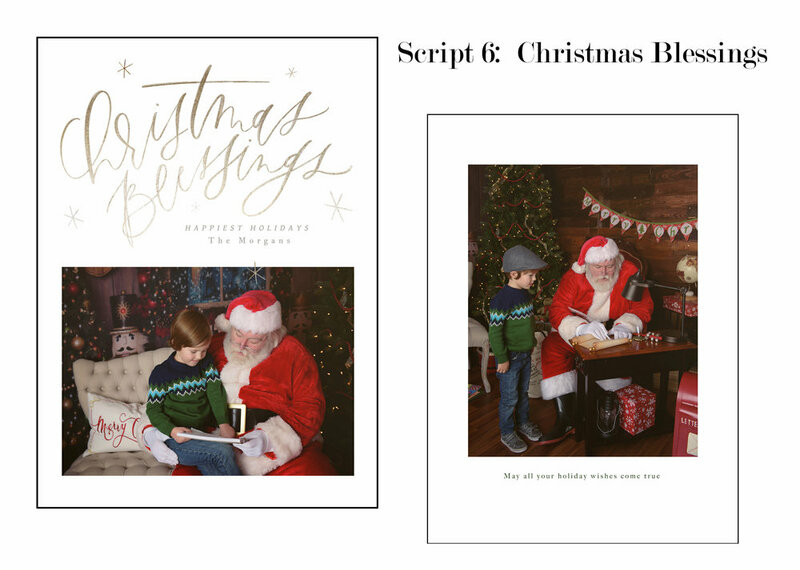 The newest trend in cards is the script overlays and we have three designs that feature full page photos with script design over the top of the photo. These are gorgeous, but do require the right spacing to work without having letters over the important part of your family picture! We have four other script designs that will work with most any image as they are inside a box and the script is outside. The other type of card we have this year is the Botanical collection which has elements of greenery to make a festive design. These will be especially perfect for our Xmas Jammies & Santa session images as well as those families who chose to dress in holiday colors for their family minisession! Please pay attention to the direction of the images when choosing your card design. 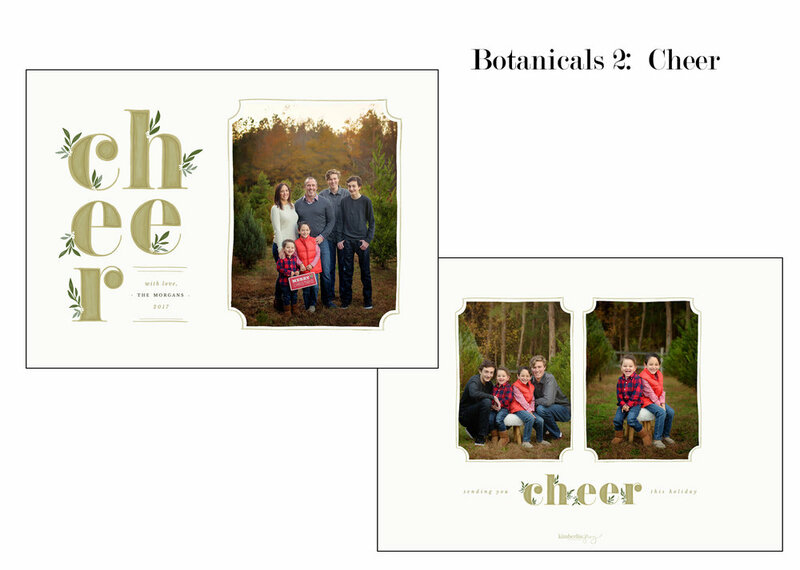 If your favorite family photo is vertical, it won't work on the horizontal full page script design. The back side of the card is more adjustable with most designs and can accommodate 1-4 images, just ask! 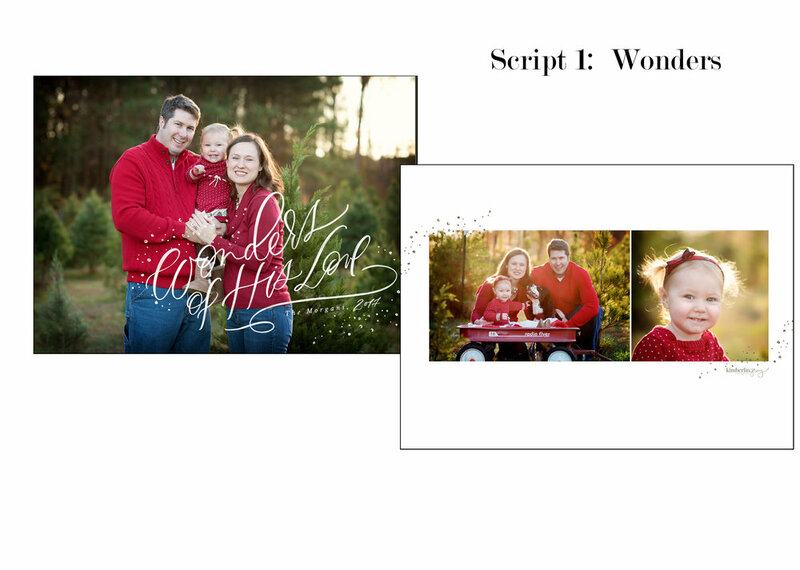 If you purchased the Deluxe Package for your family minisession, you will receive 50 cards and envelopes. If you would like to purchase more sets, they come in packs of 25 (with envelopes) at a discounted price of $50/set. If you purchased the Standard Package, but would like to add cards, the first set is $65 and then each additional set of 25 is $50/set.